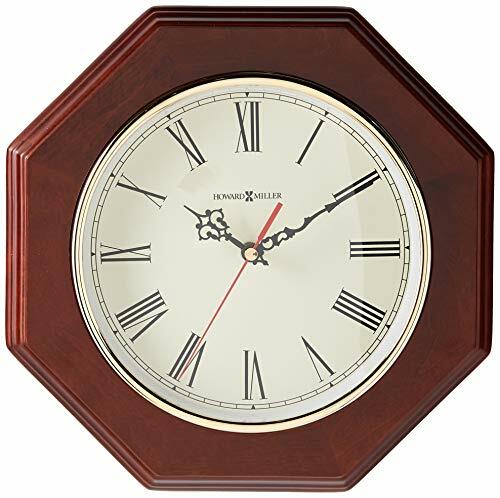 The Ridgewood Wall Clock by Howard Miller is finished in Windsor Cherry on select hardwoods and veneers. Howard Miller offers a warranty which is our promise and commitment that our products have been manufactured using the finest materials and have been thoroughly inspected prior to being shipped from our facilities. Our warranty is available exclusively through authorized retailers only. Please inquire with any 3rd party seller prior to purchase to confirm warranty eligibility. Purchases made from unauthorized retailers will not be eligible for warranty services through Howard Miller or its authorized service center network.